Charlton LTD claims to be the franchisee with exclusive rights to license the broadcasting of sporting events and sports channels to satellite and cable distributors in Israel. E.M.T. 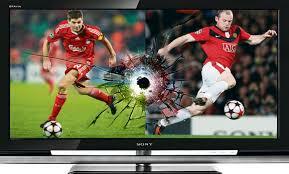 Gormet LTD is a restaurant that screened sports events for benefit of their patrons. Charlton sued the restaurant and its owners for Copyright Infringement, claiming 85,000 Shekels in statutory damages. Judge Hadassah Assif of the Hadeira Magistrate’s Court threw the case out and ruled costs of 1500 Shekels against the plaintiff. Citing Appeal to Supreme Court 2173/94 Tele-Event vs. Golden Channels 55 (5) 529, Judge Hadassah Assif accepted that there was copyright in sports events. Such copyright belongs to the producers or to licensees. In this case, Charlton was not the producer, but claimed to be a licensee. However, Charlton did not provide evidence of having any contract with producers covering the period of alleged infringement. Thus despite proving that the restaurant had shown sporting events, Charlton could not prove that they had rights to the copyright. Claims of Unjust Enrichment were similarly dismissed. As to the owners of the company, the court ruled that companies always have owners and actions of companies are generally performed by people. However, company law distances the owners from actions by the company, and one has to show good reason for raising the mask provided by the company as a legal entity. It was considered insufficient to merely show court rulings and a licensing agreement from a period three years before the alleged infringement and to claim that the legal circumstances were the same. No evidence to the effect that the existing agreement was automatically renewed was produced. In the absence of a contract clause or a general principle of law, Charlton failed to establish that they had rights in the sporting event.